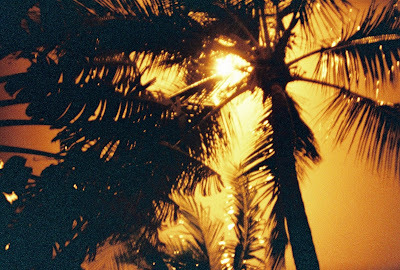 For me, growing up in New England, palm trees used to be synonymous with vacations and exotic places. But after living in Australia for the past 5 years, I have started taking their presence a bit for granted. Recently though my Holga and Lomography Redscale 50-200 film helped me find a re-appreciation for them. In this photo they seem a bit more severe and commanding rather than their usual relaxing, mellow selves. Anyways, pretty red.. I mean rad.